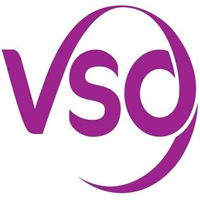 In this role, you will be responsible for the management of the people function as well as the operations department within the country office of VSO Tanzania. For the people department, this will mainly involve the management of both employees and volunteers, ensuring good people management practice, delivering an efficient customer care service and adherence to global and local policies and procedures. For the operations department, it will mainly involve the management of procurement, IT support and fleet and security management. In this role, you will be directly managing several employees within the HR and operations department, and on the other hand you will be part of the senior management team within VSO, working together on the broader VSO strategy development and implementation. When you are an excellent people manager and have experience in working with volunteers and staff from different cultures, this might be your job! Bachelor Degree in Human Resources or related field with additional relevant courses and training, MBA is an added advantage. • Acting as a passionate role model with excellent communication and problem-solving skills.